Dr. Toby Palm grew up in Anaconda Montana. His history of poor eyesight and interest in medicine lead him to pursue Optometry. 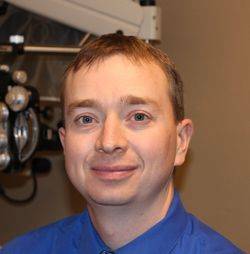 He is a graduate of the University of Montana and attached Pacific University of Optometry in Oregon. He specializes in pimary care optometry and has over 10 years of experience both in private practice and as an associate. He is married with three wonderful children and in his spare time, Dr. Palm enjoys golf, basketball, softball, hunting and fishing.